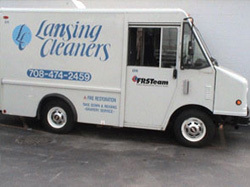 Lansing Cleaners has always had a careful eye on the environment. Our high standards have allowed us to win the Governor's Pollution Prevention Award three times. We are also privileged to be granted the US EPA's National Environment Performance Track Award, and we're a two-time winner of the Illinois State Drycleaner of the Year Award. Those same principles have allowed us to provide the finest available cleaning services, while doing our part to protect the environment. 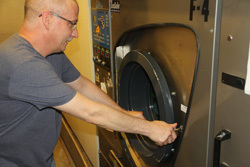 We are one of only a few dry cleaners in the United States to use a liquid CO2 (carbon dioxide) drycleaning machine. This CO2 machine allows us to provide the most environmentally efficient cleaning process available. It also provides additional benefits that are unavailable in most drycleaning processes. Once CO2 liquid is vented it becomes a gas that is already present in the atmosphere so there is no allergic effect or residual on the garment from the solvent. It also has a benefit in the arena of mold remediation, because live cultures can't survive in a CO2 environment.